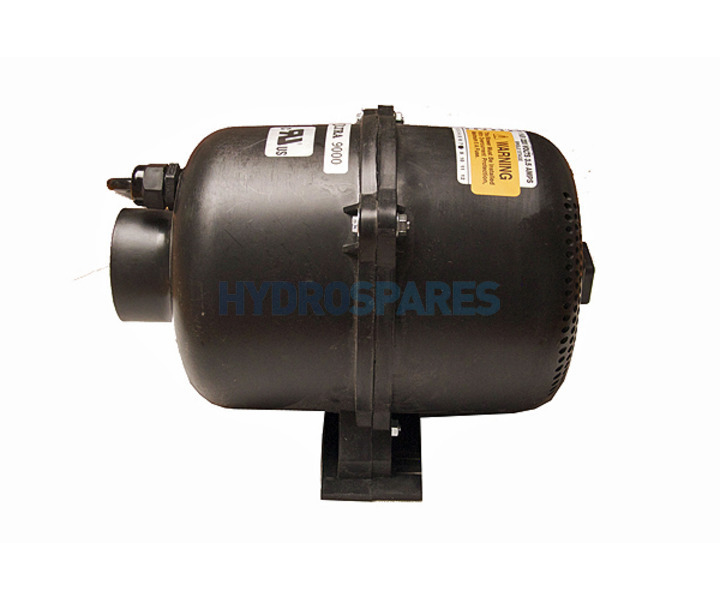 The Ultra 9000 hot tub air blower from Air Supply of the Future is a highly advanced and super quiet air blower for portable spas. Innovative intake manifold designed eliminates small objects and debris from entering blower with a unique rubber foot to help eliminate vibration. A 2.00" tapered socket fitting eliminates the need for glue or clamps. Supplied with a4-pin amp cable. Thermally protected motor. 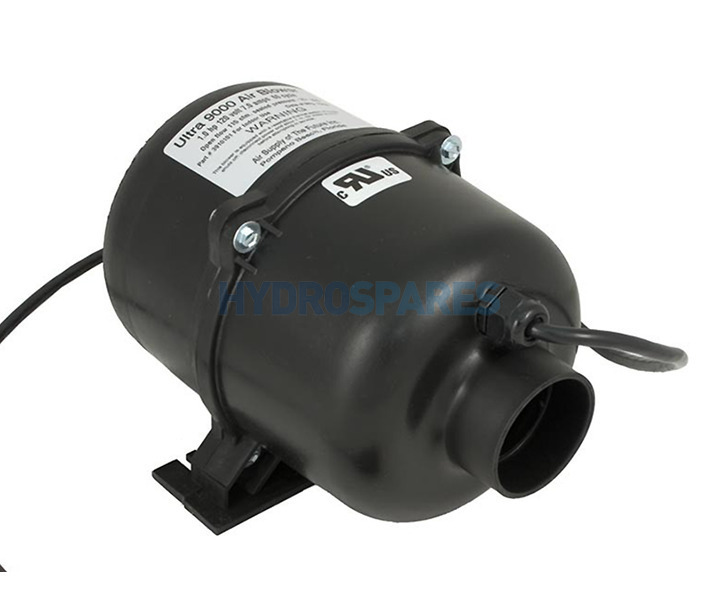 A carefully positioned non-heated blower inthe hot tub cabinet will draw warm air from pumps and heating equipment. Maximum recommended blower size for 1.50" pipe 1.00hp.